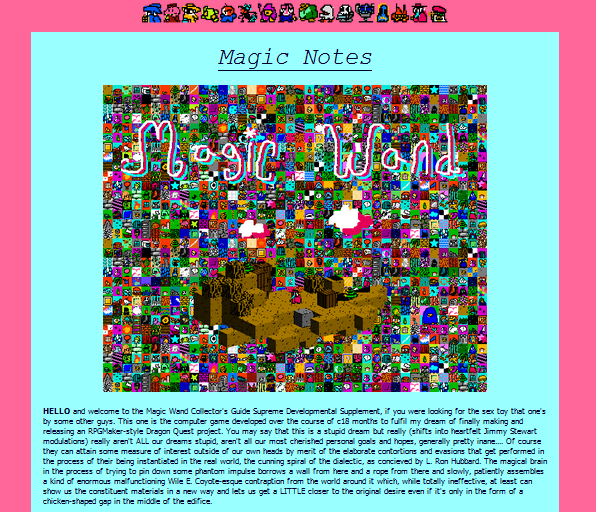 in the interest of writing it all down before i forget here's a large essay-type of document about the process of developing the forgetful capsule RPG Magic Wand. c20 pages of text plus pictures. deterioration of consciousness as embedded in and across mounds of material, vague figures floating over the horizon, stacks of blocks emerging from text and notebooks. 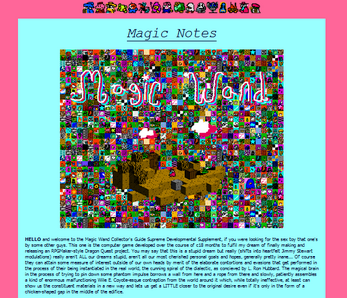 delayed companion piece to the 50 Short Game notes file. how many animals can you shut up? i wanted to call it "Masters of Doom" but it turned out that was taken.